last post promoting all things IEC2012 in the Archdiocese of Ottawa. here's a little ditty by Diddy. i've been waiting a while to use that one. anywho, enough of that. i'm home from Dublin, and all things IEC2012! but i've been back for a week, you say, ... dem ar de effects of jetlag. in fact, i'm still struggling - you see, i'm once again suffering from a mancold. all we can do now is pray. i don't understand because you see the ABp is fine, Msgrs. Joe and Daniel are running around, Fr. Jim is off to Houston, even Msgr. Latour is good to go! once again, the young pup doesn't know how to take care of himself. one day i'll grow up, really. there were a few colds on the trip, however, and i do hope everyone is feeling better! 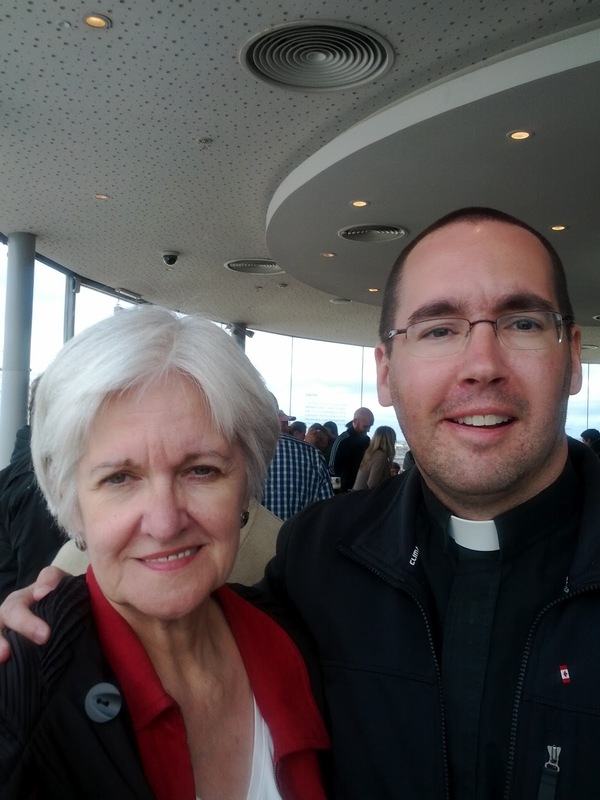 the Archdiocese of Ottawa had a great time in Dublin. the Congress was great. 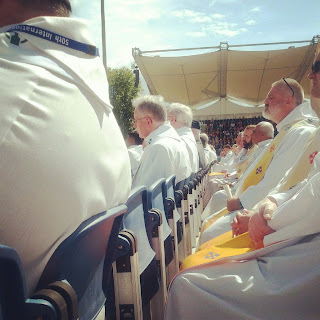 of course, there were many highlights, many great talks, conferences, testimonies, mass with the Universal Church, and more pictures (these are three of over 700). i spent the last week wrapping up the Congress, à la Zenit's wrap-up (part one, part deux). i also shared pics through Google+, aka Top Tens (Days One, Two, Three, Four, Five, Six, Seven, Eight, + Nine). though i didn't blog - i live tweeted everyday (even interviewed because of it thanks to Salt & Light), and posted more pictures through Instagram, + Facebook! it was great to be with the diocese, together, often times having breakfast preparing for the day, or over a beer sharing highlights. there are so many highlights, i really do not know where to start - a talk on the family with Dr. Egan really got me thinking, mass with 75000+ people on closing day, the 48 hours delay in arriving home (not-so much a highlight, yet), and time with mom, of course! that was our first major trip as mother and child. finally, lastly, we also took time to visit the country's most visited tourist site: Guinness Storehouse! a small group of us took Saturday afternoon and spent an hour visiting Ireland + Dublin's most visited site. 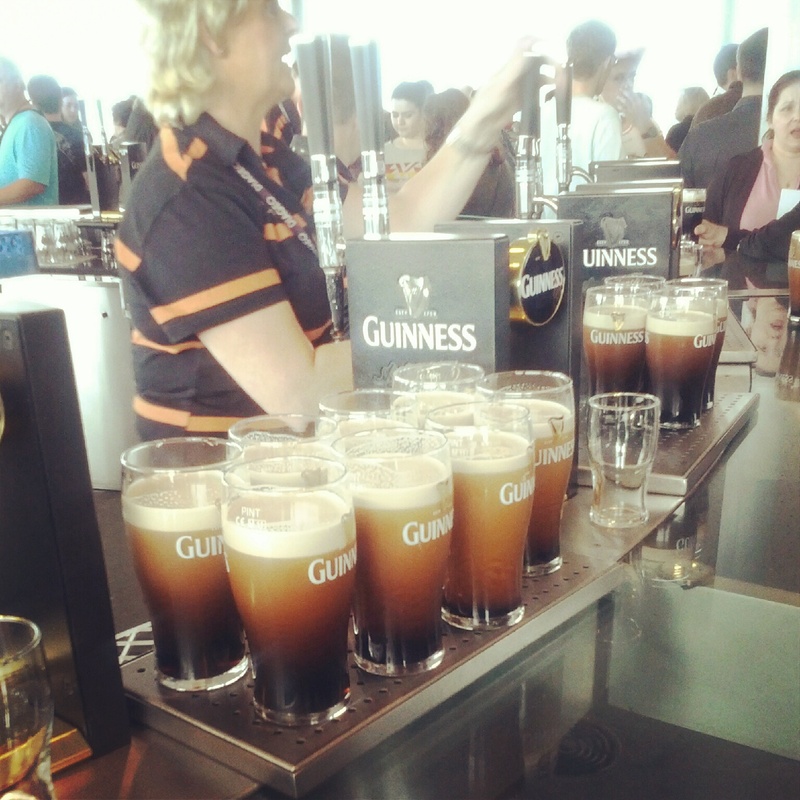 drinking Guinness straight from the source was a grand experience! however, one thing that i will never forget, which changed everything - again - is jetlag! i arrived into end of school week for école Paul VI, SMB, and ESCRH. because of flight delays i missed grade 8 graduation, but i made it in time for grade 12 graduation! the parish gave out four scholarships and i was proud to present them to four students. i also opened with a brief reflection and prayer. i kept the powerpoint of pictures to a minimum (no i did not do this), but i did mention the effects of jetlag - not only for me, as i was walking off the plane into a school gym, but for them, as they begin new timezone's of life. i'm not sure what this all means, but i know i'm a mess. the symptoms are disorientation, lack of sleep, tiredness, headaches, etc. on the plane ride home i was wondering, pondering what to say to the Grade 12 graduating class! all i could do was worry about how long this jetlag would stick around, how long would it take for me to recover. then, of course, bright light!!! welcome to the journey of life - where there are several thousand timezones! next year our brothers and sisters will be in a new place, in a new reality. they won't always be able to fall back into old habits, they'll need to adapt to new realities, new horizons, new timezones. trying to live on local time won't work - there are different timezones in universities, colleges, work world, etc. each day in Dublin i knew what time it was back home. but i wasn't back home, i was in Dublin. theses transitions affect all of us, and we all deal with them in some way or another. some go with the flow, or punches, and others (me) are a mess. eventually, no worries - but we all experience the same symptoms - headaches, tiredness, irritability, etc. the goal of jetlag is to realign oneself as soon as possible. not only physically, but spiritually. i will let you know when both happen to me! i'm blogging again, so that's a good start, eh? congratulations to all our graduates! peace out. Glad to see it all went well and that you had a good time. Keep up the good work!